Thursday night – and more! 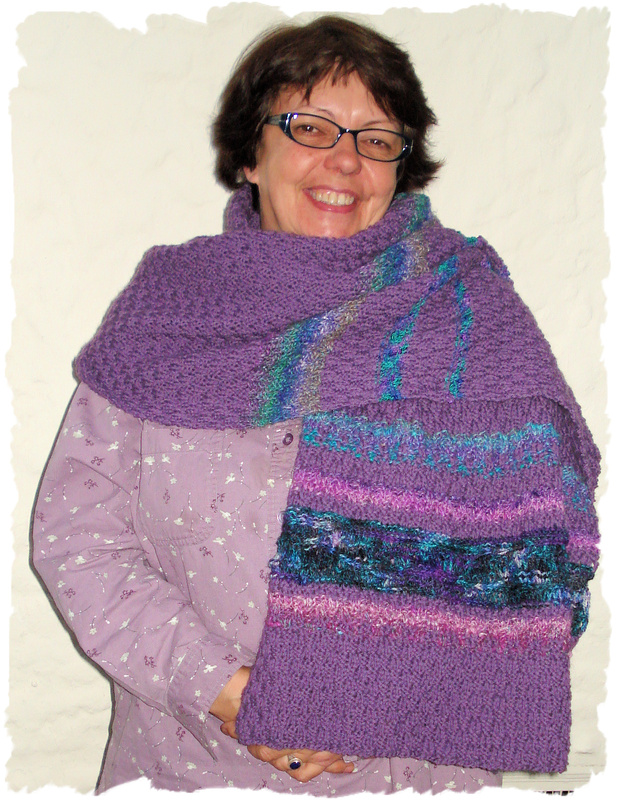 Terry is another prolific knitter – always has several projects on the needles. This week she showed some of the projects – and here is one of them that is very near completion. 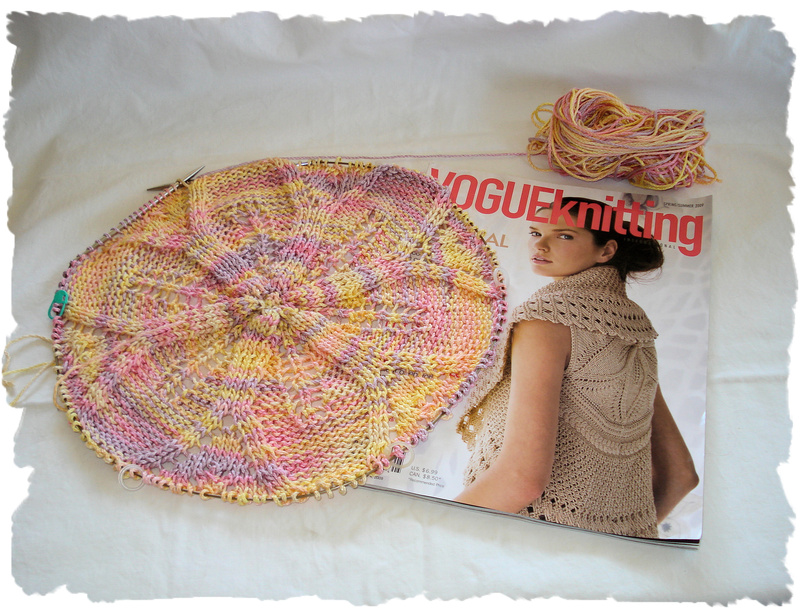 It’s the Botanica Medallion cardigan featured in the Summer ’09 issue of Vogue Knitting magazine. Terry is knitting her version in Laurel from Schaefer Yarns. She is going to add sleeves to her version…and she says that is a wonderfully easy and fun knit! 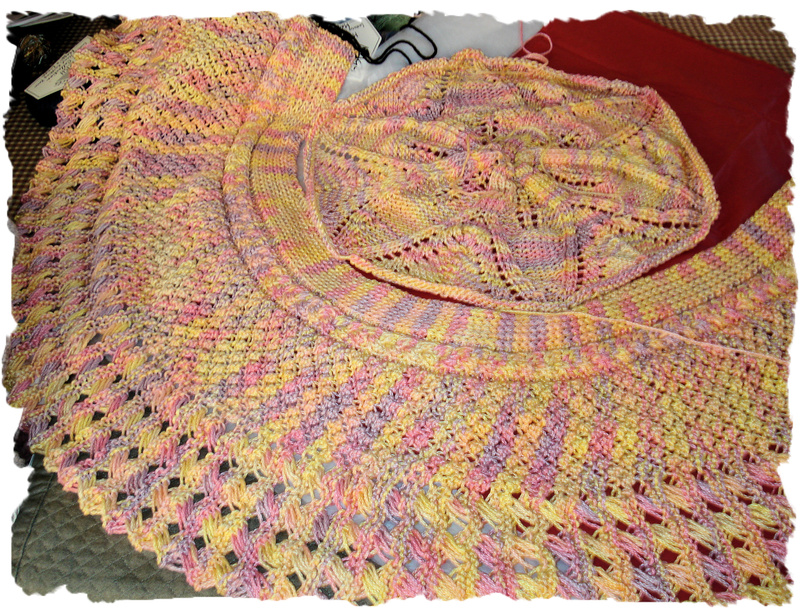 Terry also showed her completed Annie’s Scarf Stole.…this has been a very popular stole in our knitting circles. Her version is knit with Cascade 220. Coming next: It’s Thursday and Eleanor has 4 scarves to have ready by Mother’s Day. Did she make her deadline?